Disposable Face Mask are useful for emegency respiration. We have all types of Disposable Medical Mask like Oxygen Nasal canulla, Oxygen Mask, Oxygen Mask with Reservoir Bag, Nebulizer Mask, Oxygen recovery Kit, Nebulizer T Piece, venturi Mask, Air Cushion Mask, CPR Mask etc. We are engaged in offering Oxygen Mask (Adult). Oxygen mask is a device that provides the ability to transfer breathing oxygen gas from a tank storing oxygen to the lungs of the patient. Oxygen masks come in many different types and sizes, and may cover the mouth and nose, or sometimes the entire face. Rubber and Silicone oxygen masks are designed to provide a tight seal, and are often used by aviators, medical research subjects, and other patients that need a dose of pure oxygen to be administered. 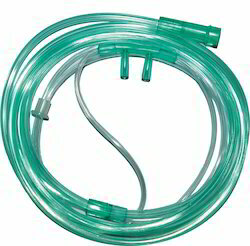 Our organization also manufactures Oxygen Mask With Reservoir Bag. We are a vibrant community of young and energetic engineers and non-engineers who strive to look in for different and efficient product manufacturing & sourcing ways that will help solve challenges faced by patient and end-users. 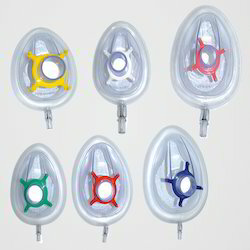 The Nebulizer Mask is made of clear, non-toxic PVC, medium concentration, adjustable nose clip & non-autoclavable. The mask is only for single use. We are Medi Safe International an Indian manufacturer offering a broad array of CPR Mask mouth to mouth with silicon mask (Child). All our products are made especially for the end-customer and we make use of the best quality material, assuring safety and cost benefit to end users. With an aim to offer products that have more practical implications in improving respiration. Available Size of Face Mask: 00, 0, 1, 2, 3, 4, 5 No. We are Medi Safe International an Indian manufacturer offering a broad array of CPR Mask mouth to mouth with silicon mask (Adult). All our products are made especially for the end-customer and we make use of the best quality material, assuring safety and cost benefit to end users. With an aim to offer products that have more practical implications in improving respiration. 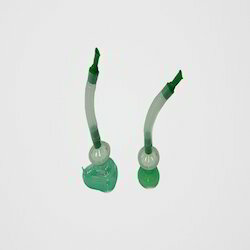 We are also engage in offering oxygen nasal prong (adult/child/infant). 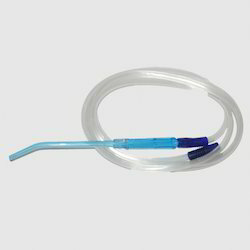 We use a premium quality of raw material while producing such oxygen nasal prong. These are clear, lightweight, one-piece, anatomical design.